The ASU Sun Devils take on the W. Virginia Mountaineers Jan. 1, 2016 at Chase Field in Phoenix. Three quarters are in the books! 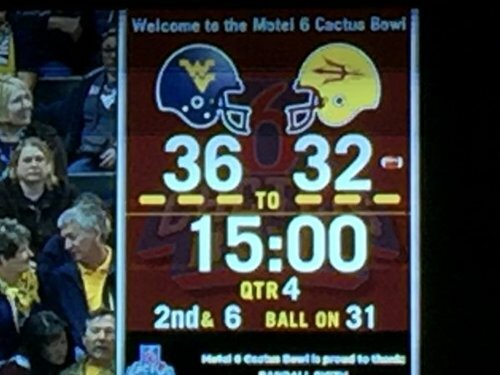 WVU leads ASU 36-32, but the Devils are in Mountaineer territory. Zane Gonzalez's 48-yard field goal attempt is GOOD. The kick is good by @ZaneG_5 , his fourth of the game and his 26th this season (2nd most in single season in ASU history). Zane out again...this time from 48... Good! 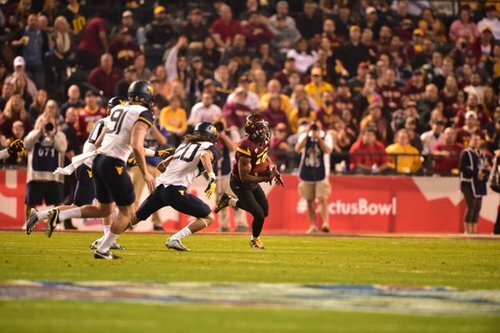 #CactusBowl tying 4th FG. 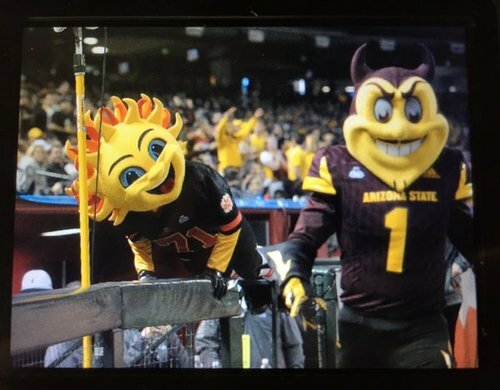 Todd Graham and Shawn Slocum seem to have a tranquil working relationship, don't they? That 3rd down pass is broken up by Kweishi Brown and that brings out the punt team for WVU. Manny Wilkins at QB and DJ at RB. I like it! DJ Foster is now tied for 11th all-time in Pac-12 history with 222 career receptions. 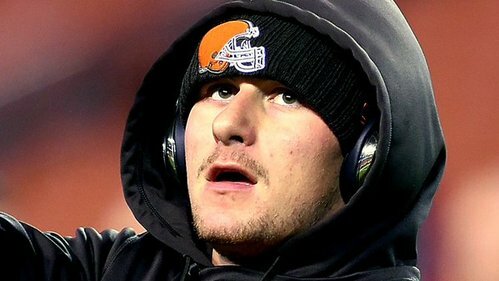 #Pac12BeforeDawn is coming in five minutes in AZ ???????????? West Virginia takes over at its own 8-yard line.